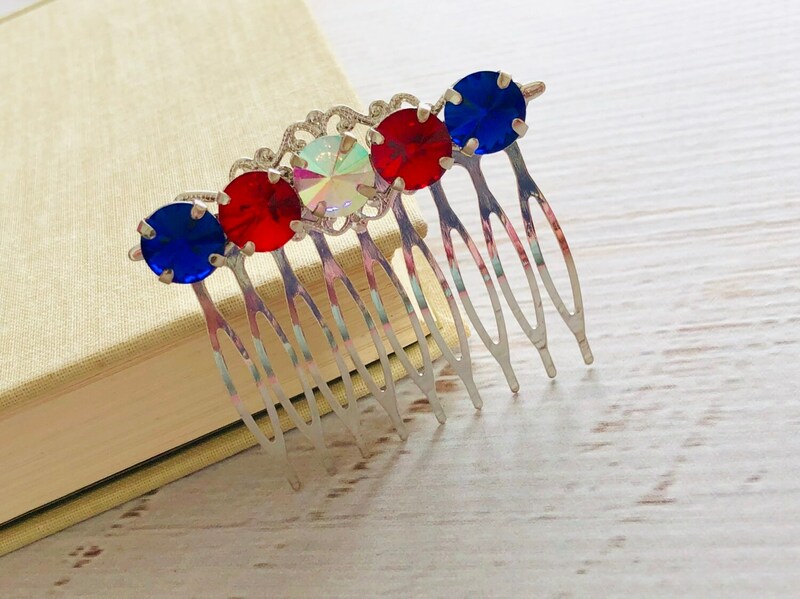 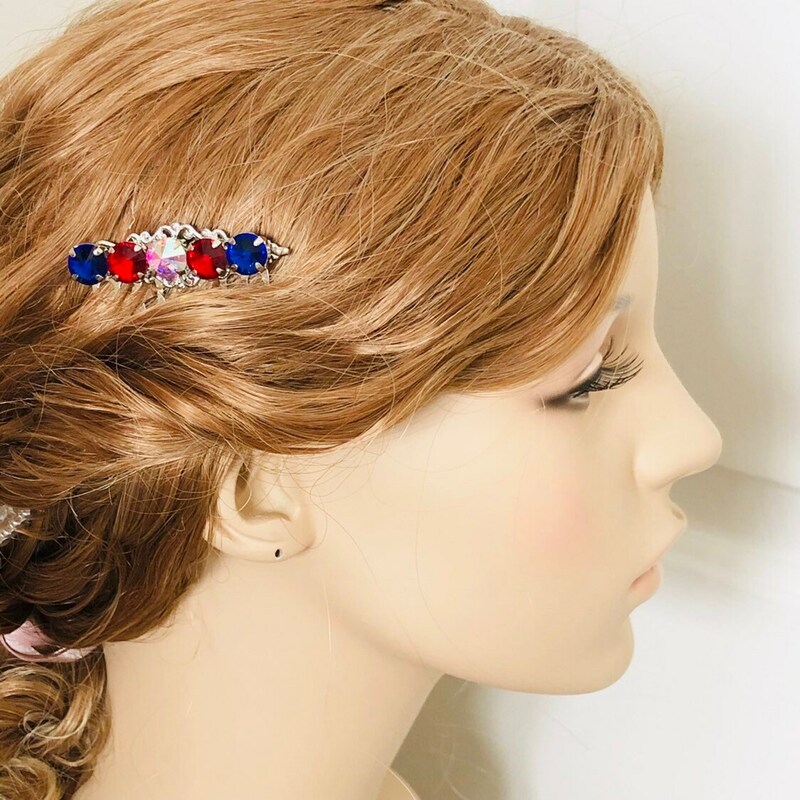 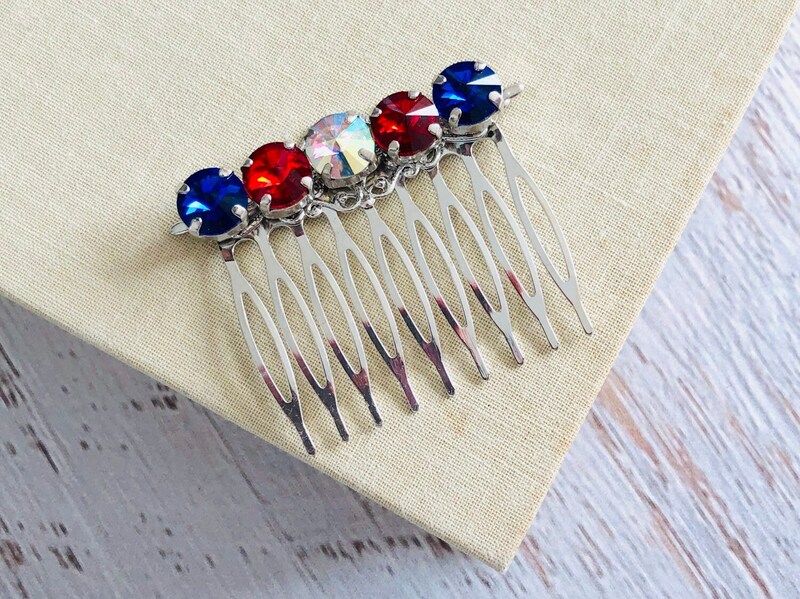 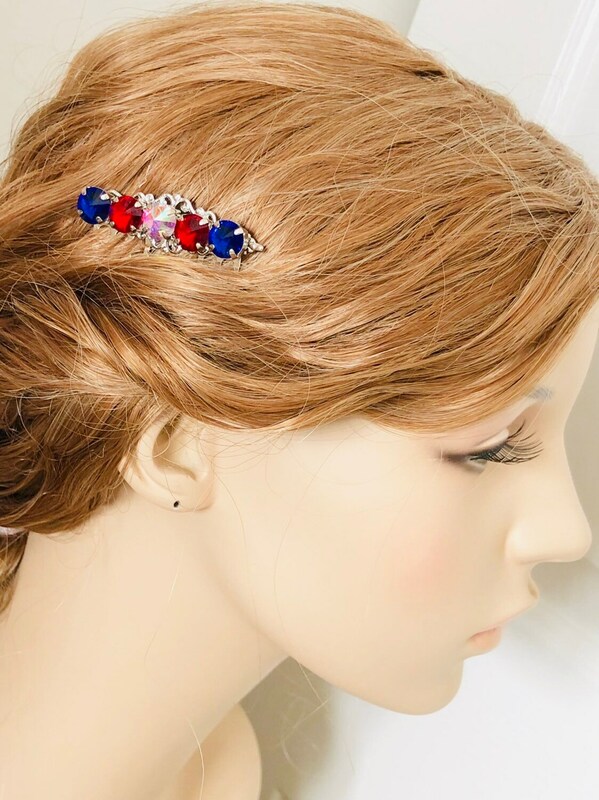 I made this red, white and blue patriotic hair comb just for dolling up your hair for that fourth of july party you can't wait to attend!! 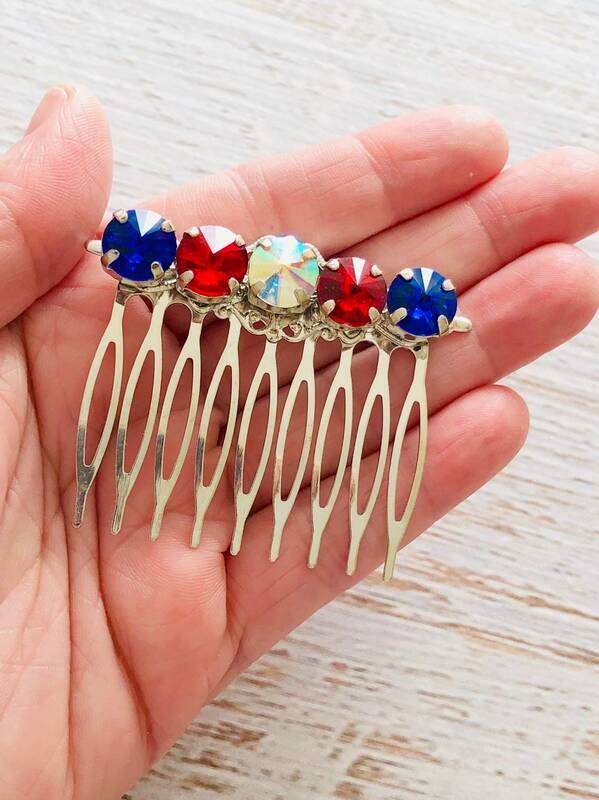 I made this lovely one of a kind hair comb with silver toned cup set rhinestones in red, blue and clear. 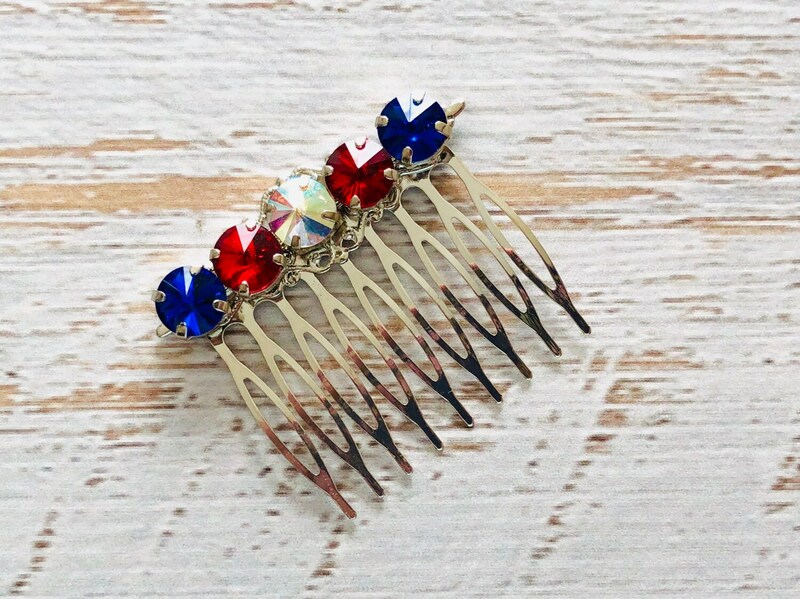 This is perfect for adding a nice touch to your tresses for the holiday season.